Made by Niqua of Germany. High Precision Steel Bits to make scrolling easier. 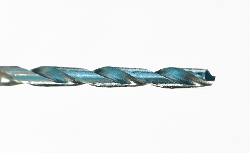 SSDB-064 #64 0.9 mm 0.0354"
SSDB-060 #60 1.0 mm 0.0394"
Our drill bits are sold in packages of 10. Great value and quality guaranteed!